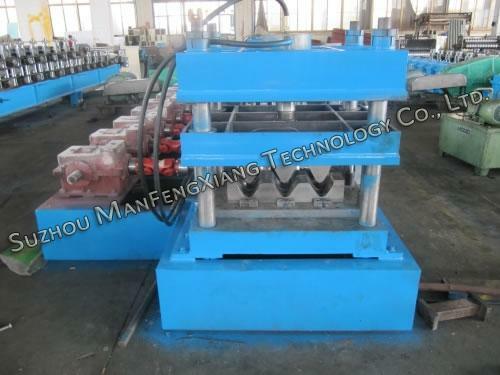 Guard rail roll forming machine is used to produce guard rails or crash barriers. 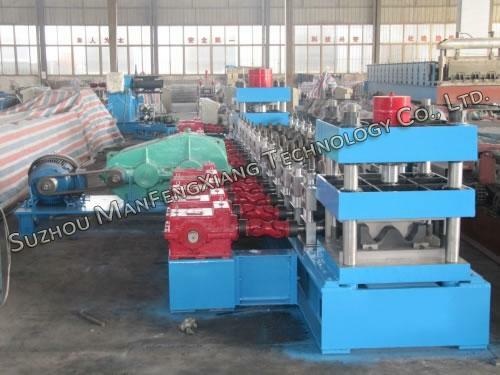 Hot rolled, galvanized or other steel sheet and coil is suitable roll forming materials for this machine. 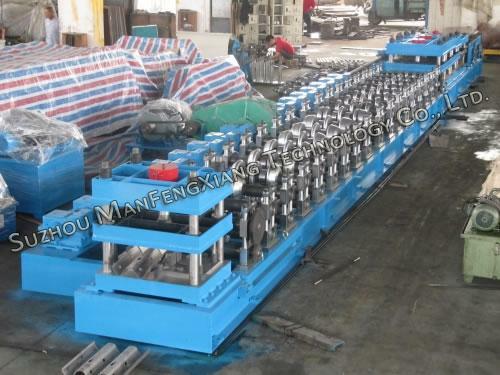 This machine is mainly made up of loading coil car, exit looping kit, roll former with tooling, automatic stacking device, flying cut-off machine, servo roll feeder, leveler, loading coil car, etc. 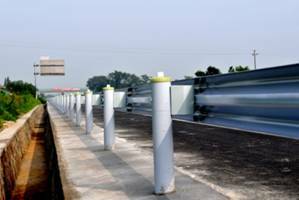 The finished products are widely used on highway, expressway and other public places to prevent different kinds of accidents and improve safety. They can also be used as fence for livestock farms and other places. 1. This production line can be automatically run by inputting some data (like products length and batches) to the PLC control system. 2. Very strong base frame is configured to avoid vibration. 3. All the rollers have been processed by CNC lathe and polished on the surface to guarantee the accuracy. 4. The rollers have gone through hardened treatment to guarantee long lifespan. 5. 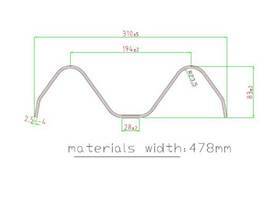 We can also design the crash barrier roll forming machine according to customer’s requirement. Note:Detailed information for above three machines is available in following PDF files. If more details are needed, welcome to contact us. SUZHOU MANFENGXIANG TECHNOLOGY CO.,LTD. is dedicated in designing and supplying manufacturing different steel cutting, bending and forming equipments, including tube mills, roll forming machines, etc. 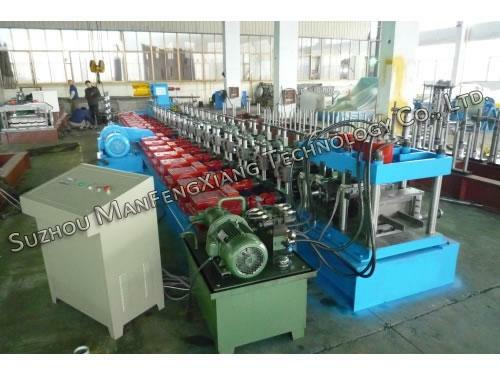 Apart from tube making machine and steel roll forming machine, we devoted ourselves to the research & development of various kinds of other products related to steel structure, such as hydraulic press brake machine, roll former, shearing machine, slitting machine, cutting machine, crash barrier or guardrail roll forming machine for highway, expressway, shutter doors, and garages doors, etc. Our products are well received by customers from North America, South America, Europe, Middle East, Southeast Asia, Russia, Australia and other regions. Welcome to visit our company and discuss your needs face to face.